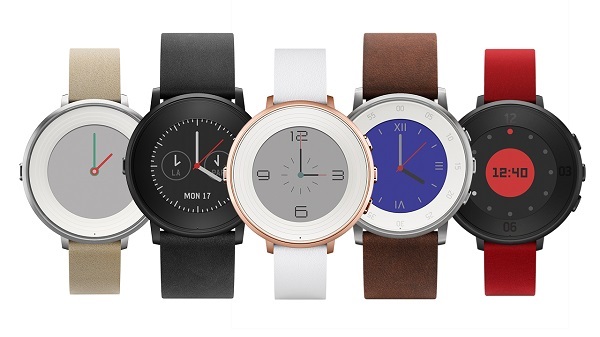 Pebble Time Round smartwatch launched: The world's lightest and thinnest smartwatch. Pebble today launches its first circular smartwatch, the Pebble Time Round. Pebble Time Round is also the world's lightest (28g) and thinnest (7.5mm) smartwatch. Pebble Time Round starts at $249 and can be reserved at Pebble.com (shipping worldwide), Best Buy, Target, and Amazon. Watches start shipping and will be available at US and Canadian retailers in early November. Retail availability in the UK will begin later this year, followed by EU retailers in early 2016. Pebble Time Round comes with always-on, e-paper display. Pebble's Time Round brings notifications, messages, incoming calls, and music controls to your wrist. At 7.5mm thin and weighing just 28 grams, Pebble Time Round is the thinnest and lightest smartwatch in the world. Pebble Time Round features days-long battery life, minutes-quick charging (just 15 minutes to get a day's worth of use), and splash resistance for rainy days. With a variety of available band sizes, watch finishes, and band options, Pebble Time Round suits more people than ever. Start with a band size-20mm or 14mm-that fits you best. Pick a finish to match your style: Black, Silver, or a special-edition Rose Gold exclusively for the 14mm band size. Polish off Pebble Time Round's look with bespoke watchfaces in the Pebble appstore or with a selection of quick-change bands in genuine leather (metal band options come later this year).